This section provides all the HEIMDALL published deliverables. This deliverable describes the HEIMDALL project management and quality assurance procedures (Quality Plan) to be followed throughout the project. Description of the project website used for the dissemination of project’s results and of the e-platform allowing the effective collaboration of consortium partners. Describes the system engineering and release approach (Issue 1) and the progress made during each release phase. It describes the HEIMDALL service concept relevant actors and the possible use cases. Describes the progress made during each release phase. Documents the first version of the user and system requirements. Documents the system and technical requirements and their maintenance during the project duration. 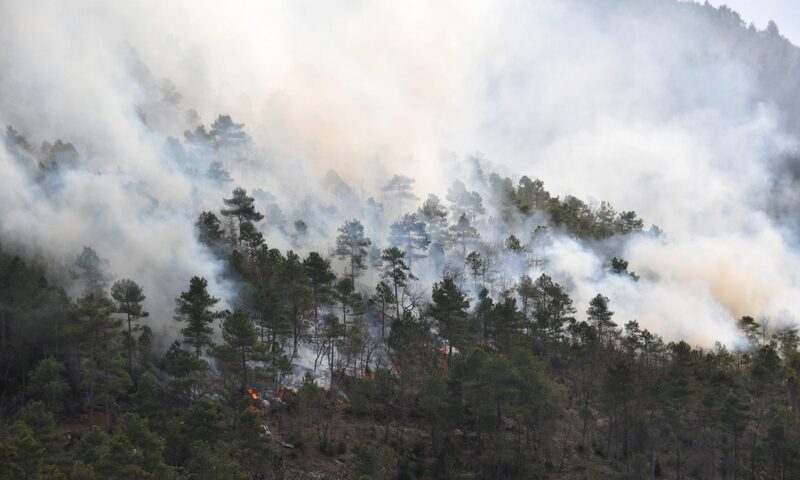 Description of relevant study cases in Forest Fires, Landslide, Floods and Flash-floods hazards, focused in crossborder scenario, in a multi-disciplinary event, “request for assistance” situations, inter-organisational cooperation and population awareness. Thorough analysis of societal acceptance and ethical acceptability including empirical research with key stakeholders and the general public. Thorough analysis of societal acceptance and ethical acceptability including empirical research with key stakeholders and the general public. The output of this will be in the form of points to consider for the ethical use of the system which will be regularly checked. By M42 a detailed ethics report with information on acceptable use of the system in different scenarios will be available. Description of relevant study cases in Forest Fires, Landslide, Floods and Flash-floods hazards, focused in cross-border scenario, in a multi-disciplinary event, “request for assistance” situations, inter-organisational cooperation and population awareness. It includes (1) Compilation of organisational documents and actions required to carry out Demonstrations on HEIMDALL Services and Products, (2) compilation of lessons learnt converted into Experiences to feed Scenario Management in T6.5 and (3) Description and synthesis of lessons learnt and feedback from end users and relate them to recommendations and conclusions for other WPs. First Issue will include a definition of a strategy to compile the lessons learnt. Includes (1) Compilation of organisational documents and actions required to carry out Demonstrations on HEIMDALL Services and Products, (2) compilation of lessons learnt converted into Experiences to feed Scenario Management in T6.5 and (3) Description and synthesis of lessons learnt and feedback from end users and relate them to recommendations and conclusions for other WPs. Thorough analysis of human factors including empirical research with key stakeholders and input to the project requirements in the form of a list of points to consider in the development of the project. Design document for the Service Platform. Guide for users describing the user interface and its features. Technical report specifying the interfaces, the message formats and the protocols for peer-to-peer communication between end users, as well as the central coordination services. Design and Specifications document for the alerting gateway as well as the satellite terminals and protocols. Specification document for the user/role management modules, their interfaces and interactions. Design document for the HEIMDALL user interfaces. Technical specifications and architectures for the EO processing modules and products. Design document and specifications for the software modules to be used for multi-hazard modelling and simulation. Specifications and technical details for the MAV swarm, the SAR radar and the in-situ sensors to be used. Design and technical specifications for the interfacing components to external data sources and existing end-users’ systems. Detailed concept design and documentation of technical specifications for methods on risk analysis. Design document, specification and implementation report of the decision support services. This document presents the scenario definitions and data model elaborated in close collaboration with all end-user and technical partners in the HEIMDALL project. Concept design for the development of specific risk assessment information, products and service workflows in line with D6.1. Design document, specification and implementation report of information fusion, situation assessment and the sCOP format. Description of activities carried out to disseminate HEIMDALL outcomes, products and services during the first half of the project. Report describing the standardisation activities carried out in the first half of the project. This deliverable presents the procedures and efforts pursued by the HEIMDALL consortium ensuring that no privacy or data protection requirements are being transgressed during research and development (R&D) activities of HEIMDALL.